We have already seen numerous products such as the Impress Coffee Brewer and the Viora Lid which help consumers make their takeaway coffee a greener and more enjoyable experience. 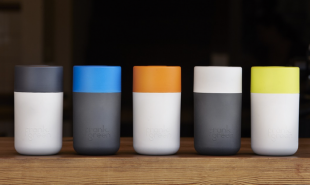 Now, the SmartCup made by Australian product innovator Frank Green could make it more convenient too — by embedding smart payment capabilities into the reusable cups, enabling customers to pay for their coffee from their favorite cafes with the cup itself. 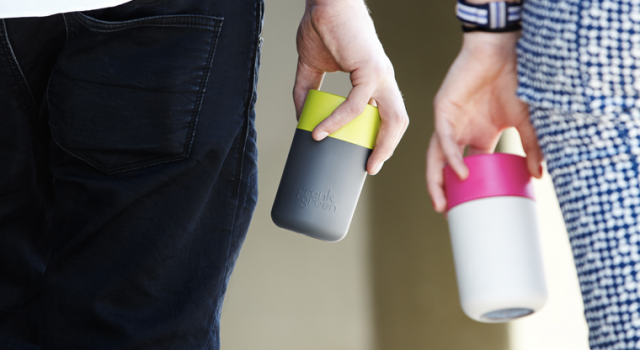 To begin, customers purchase one of the stylish, environmentally friendly cups — which come in a large range of colors — and download the CafePay smartphone app. They then simply order their coffee as usual and pay for it with a swipe of their cup, using tap payment. Customers can pre-pay for coffees and gift them to friends and colleagues via the app and can collect loyalty rewards from participating local cafes. Perhaps the cups could be pre-loaded with coffee subscriptions at independent coffee shops as a form of hi-tech loyalty scheme?